← Things on the horizon! This week we begin tech for Tightrope – an inter-disciplinary performing arts event I’ve been helping to organize. I’m so excited to share this piece with you all! 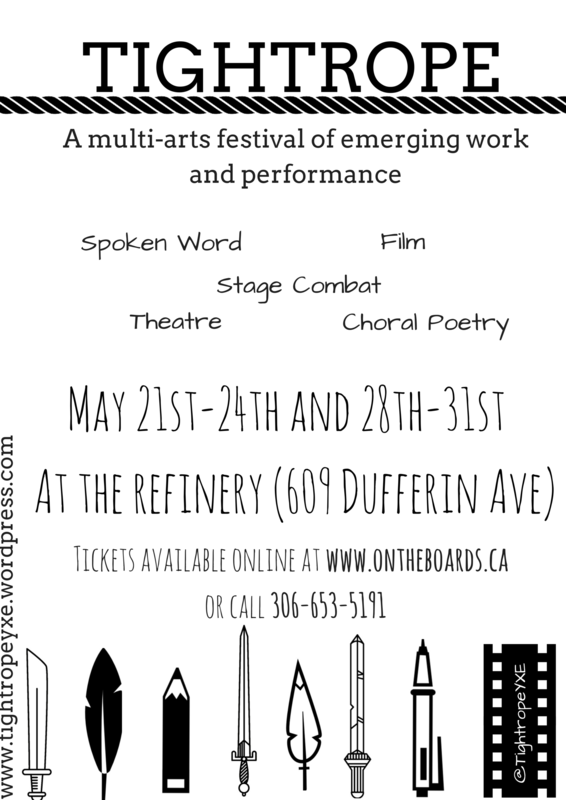 It combines theatre, film, spoken word, choral poetry, combat, and visual art into one nifty event. I’ve got a brand new play (Want In?) being premiered, I’m performing in Mexico City by the incredibly talented Canadian playwright Hannah Moscovitch, and I’ll be speaking some choral poetry with an exciting group of my peers. Don’t miss Tightrope! Get your tickets here. Posted on May 16, 2015, in Uncategorized. Bookmark the permalink. Comments Off on A big week!.